We had a wonderful evening fundraiser last week with so many friends. Special thanks to Kevin and Peri den Dulk for hosting this intimate gathering at their beautiful home. I’m proud to announce I’ve earned the endorsement of the Sierra Club Michigan Chapter because they know I value Michigan’s priceless natural resources and will work to defend them. Protecting our land, water and air and continuing to develop a clean energy economy is the right thing to do. It’s good for the economy and it defines who we are as Michiganders. Thanks to the Sierra Club and their 160,000 members and supporters in Michigan. I’m honored to have earned the endorsement of the UAW International Union. From its earliest days, the UAW has been a leader in the struggle to secure economic and social justice for all people. 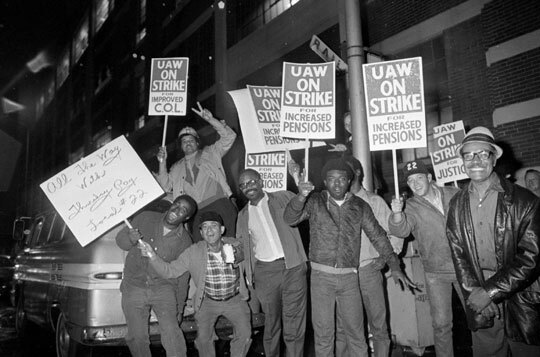 The UAW was actively involved in the civil rights and women’s rights movements and played a vital role in the passage of such landmark legislation as Medicare and Medicaid, the Occupational Safety and Health Act, and the Family and Medical Leave Act. In Washington and Lansing, the UAW is fighting for better schools for kids, secure health care and pensions for retirees, clean air and water, tougher workplace health and safety standards, stronger worker’s compensation and unemployment insurance laws and fairer taxes. I’m proud to continue standing with the brothers and sisters of the UAW who continue their 80-year long struggle to build and defend the American middle class.